I like playing chess. It is a game of intelligence, strategy, and mental stamina. However, because it needs thoughtful moves and concentration, that is if you’re serious on winning, playing it can be time-consuming. Considering that you have a worthy opponent too. Did you know that the longest game on record took 269 moves and it ended in a draw? All those moves for a draw! I taught my son to play chess when he was still little, and since then he always wanted to challenge me, hoping to outwit the ‘master’ who taught him. Well, he’s not so little anymore now, and he has become a worthy opponent. Recently we were in a place so idyllic, that we don’t mind spending a lot of time there, even if we were engaged in a serious game of chess. Don’t get me wrong, we are far from being world-class level, nor do we have the crazy delusion that we are Grandmasters in chess. Grandmaster is a title that is only awarded by the world chess organization to players who have ascended to the highest level of mastery of the game. There are specific and strict criteria of earning this prestigious title. Yet since we were playing chess in this particular place, I think we can be called ‘Grand’ Masters. At least for the time we were there. For some reason my son is fascinated in Medieval times — from castles, knights, and the weapons of those times. I think most boys have that fleeting intrigue about knights and swords, but my son’s interest seems to be deeper. He had borrowed several books in the library about castles, knights and their battles. One book he had borrowed at least 3 times is “Siege: How to Conquer a Castle”. He is so interested in Medieval warfares and tactics on conquering a kingdom. Maybe that’s why he is so keen in chess, with knights, towers, queens, and with all the strategies in capturing the opponent’s king. By the way, why is it in chess the king is so helpless and needed to be protected by his men, while the queen is all powerful? Is it the queen, in real life, that is running the kingdom (or should I say “queendom”)? Just asking. Sorry I digress. In his play time, my son have even built catapults and battering rams with his lego and tinker toy set. Then last week, he made a knight’s armor. He fashioned it from cardboards, cereal box, and an orange carton. He designed and construct it all by himself, though I helped a little bit, to cut things out that is too tough for him to cut. 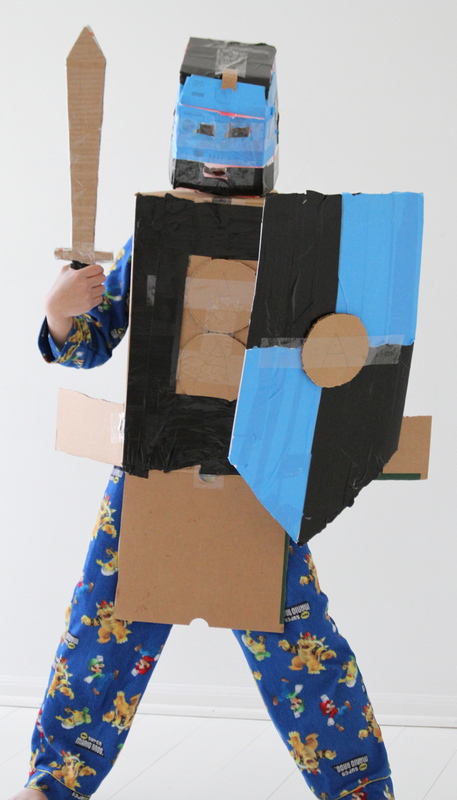 Here is my knight in shining….. ah, er……..cardboard armor. Today he creates a cardboard armor. 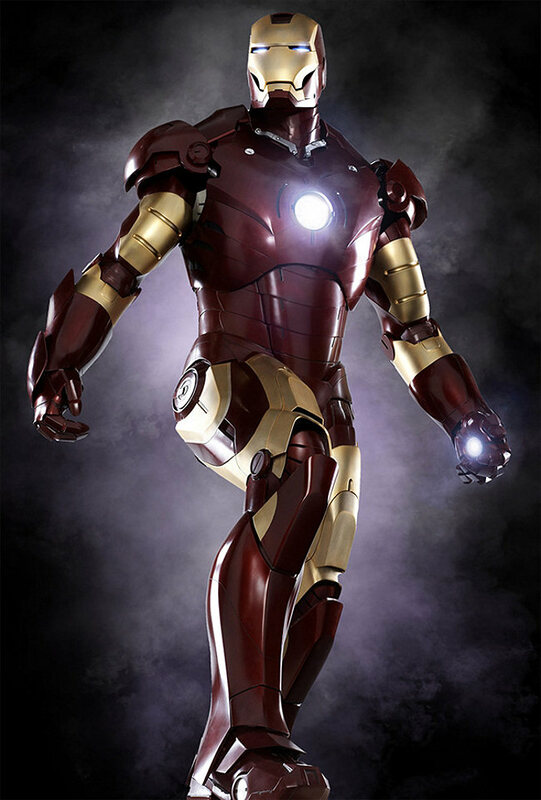 But who knows what kind of armor he will design and create in the future. Maybe this? I like playing chess. My father gave me a chess set very early in my childhood, and I learned how to play chess long before I learned how to ride a bike. I even had a chess book that I read when I was in grade school, to improve my game. Less than a year ago, I taught my son (he was six at that time) how to play chess. I was happy he grasped the concept of chess very well. Since then he will often challenge me to a game of chess. But his novice mind is out of match to his strategy-experienced dad. We have a chess game application programmed in our computer, and my son will frequently play this. He becomes frustrated stating he cannot beat it. He even requested me to buy him a chess book so he can learn to beat our computer. I smiled at his naivety, as I try to explain to him that it is impossible for humans to defeat the computer in a game of chess. 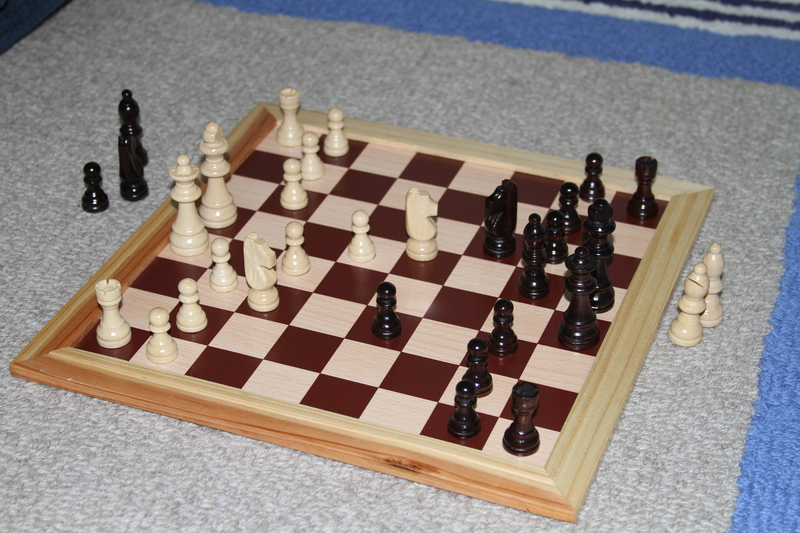 The other day while I was reading a book, my son again challenged me to a game of chess. I continued reading in between my chess moves. Then I realized I made a simple blunder (for lack of concentration), that my son took advantage of. He ate my bishop and all I got in return is a pawn. I put down my book, and concentrated on the game trying to salvage my situation. But my son kept on attacking and improving on his advantage. Few moves later I was checkmate. It is either I am a very good teacher or the student is getting better than the teacher. Is this the beginning of a new era? I hope I can also equip my son with enough wares to do well in another chess game, we called life. But then again, he already have mustered enough strategy to beat his dad. I believe he is on his way in conquering life. I will not be surprise if one of these days he will tell me that he finally defeated the computer in chess.